Captan 4L is an aqueous suspension for use in water as a spray for the control of certain fungus diseases of fruit. It contains four pounds of Captan per gallon. Is used for the control of certain fungal diseases of fruit crops and as a soil treatment for the control of certain seed rots and damping-off diseases. Is a multi-site MOA (mode of action) that gives broad spectrum of activity to reduce resistance. Can be combined safely and effectively at recommended dosage rates with most commonly-used fungicides and insecticides. Alkaline materials such as spray lime, lime sulfur, and Bordeaux mixture will reduce the fungicidal activity of this product. No known resistance to Captan after 50 years of continuous use. 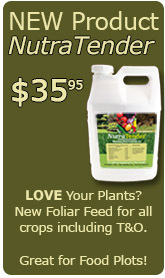 Approximate use rate: 0.75-4 quarts per acre. See label for specific use rates. Captan 4L Fungicide is labeled for use on the following areas but always consult the label for specific information.